This Book “Leaders & Ladders” is an essential read for new /existing entrepreneur who have ventured into a business activity and dream to grow into big organisations. This is also useful for managers looking for bigger leadership roles in future. The author, based on the rich experience acquired during his own journey of similar nature, has given tips about entrepreneurship and leadership in a very simple and lucid manner. 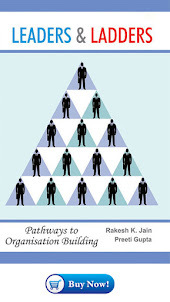 As the name suggests the book is about various ladders a leader has to climb before becoming a successful entrepreneur. How to increase the productivity and efficiency of an organisation, which primarily depends on the skills and traits of the people working there, has been explained through organisation development and people development concepts. The book starts with the premise that “ one person makes the difference “ to any organisation. If you aspire to be that “one person” than you will have to read and absorb the book completely. The importance of processes and use of technology cannot be overlooked as they form the basic pillar of building an organisation. 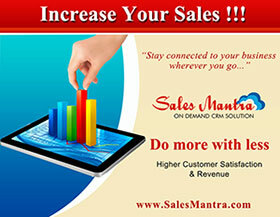 Planning, reviews ,growth strategies and use of technology and many more concepts falls under this category. A very important chapter on “entrepreneur and organisation” addressing the concerns of an entrepreneur after achieving success at a senior age has also been included which deals with work life balance, succession, legacy and wealth management and others. Simple day to day concepts which are perhaps known and yet at times ignored like doing things right at the first , systematic working etc gives points to ponder to one and all.